Live podcast shows on everything from true crime, beer, cannabis, food, sports and culture—all from iconic Portland locations. 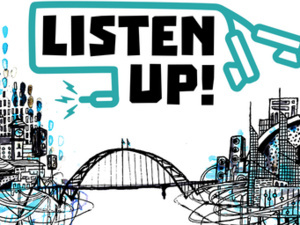 Listen Up Festival brings you internationally known podcasters like Guys We F#$!d with Corinne Fisher and Krystyna Hutchinson, Bullseye with Jesse Thorn, The Sporkful, The Doughboys, Yo Is This Racist, Side Hustle School and more. Explore your choice of over 15 live shows while you explore the city. Multiple venues. View the event website for information on venue locations.